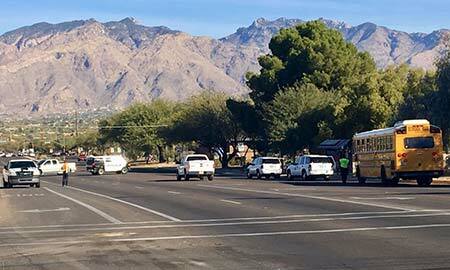 Tucson, Arizona—Kerry O’Donnell, age 61, was struck and killed by a school bus as she crossed a street on Thursday at about 7:00 a.m. The tragic accident occurred at the intersection of Swan and Fort Lowell. 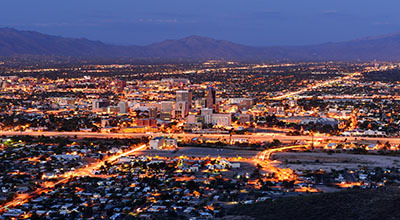 Accident investigators with the Tucson Police Department determined that Ms. O’Donnell was walking westward on Swan Road in a crosswalk on a green light. The school bus was traveling in the middle northbound lane of Swan Road, approaching a red light at Fort Lowell Road. The bus driver reportedly did not see the red light or Ms. O’Donnell before the collision. Ms. O’Donnell was immediately transported to Banner University Medical Center where she died shortly thereafter. There were two students on the bus at the time of the accident. Neither they nor the bus driver was injured. The school bus is owned and operated by Tucson Unified School District. We extend our condolences to the family and friends of Ms. O’Donnell over this tragic loss.